An important example of perfect simplicity, this lamp was designed by Sybold van Ravesteyn in 1926. 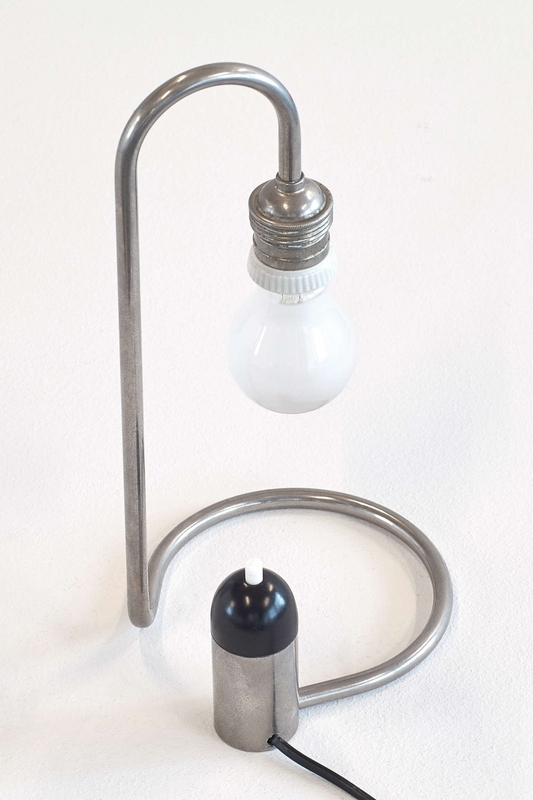 Made of chrome-plated steel, this particular lamp is one of the rare 50 pieces van Ravesteyn allowed to be re-issued in 1979 by the small-scale design company Kollektor Perpetuel. One of these 50 pieces was donated by the designer himself to the Metropolitan Museum of Art in New York, where this museum piece now remains part of the collection. An iconic “less is more” design capturing the essence of minimalism and modernism in lighting. Bibliography: The Metropolitan Museum of Art Collection, accession number 1980.237 Sybold van Ravesteyn Archive. Het Nieuwe Instituut Rotterdam, accession number RAVEph21 The Essence of Things - Die Essenz der Dinge, Editors: Alexander von Vegesack, Mathias Schwartz-Clauss, Vitra Design Museum, 2010. Sybold van Ravesteyn: Architect, Kees Rouw, NAI010 publishers, 2014.